Description: It is a nifty photo album generator. It creates a Flash-based photo album that displays thumbnails of your photos. When you hover the mouse cursor over any of the thumbnails, the thumbnail will expand to reveal a larger version of the photo. 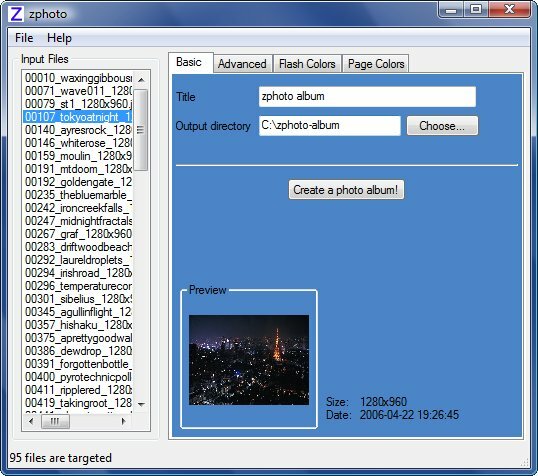 The generated album can be uploaded to a web server and easily shared with friends and family.